Your answers to this FREE no obligation survey should save you 20% or more on your operational costs. Here is what you will receive after taking the survey. Partnering with iSocrates saved this Publisher 27% in Operational Costs. Take this FREE no obligation short survey to determine exactly how much money your organization might save each month moving various media and marketing back office functions to iSocrates’ outsourced, but wholly transparent Managed Service Platform (MSP). The intent of the questions is to provide you with a reasonable comparison to what you may receive shifting some or all of a variety of activities to the iSocrates Managed Service Platform. 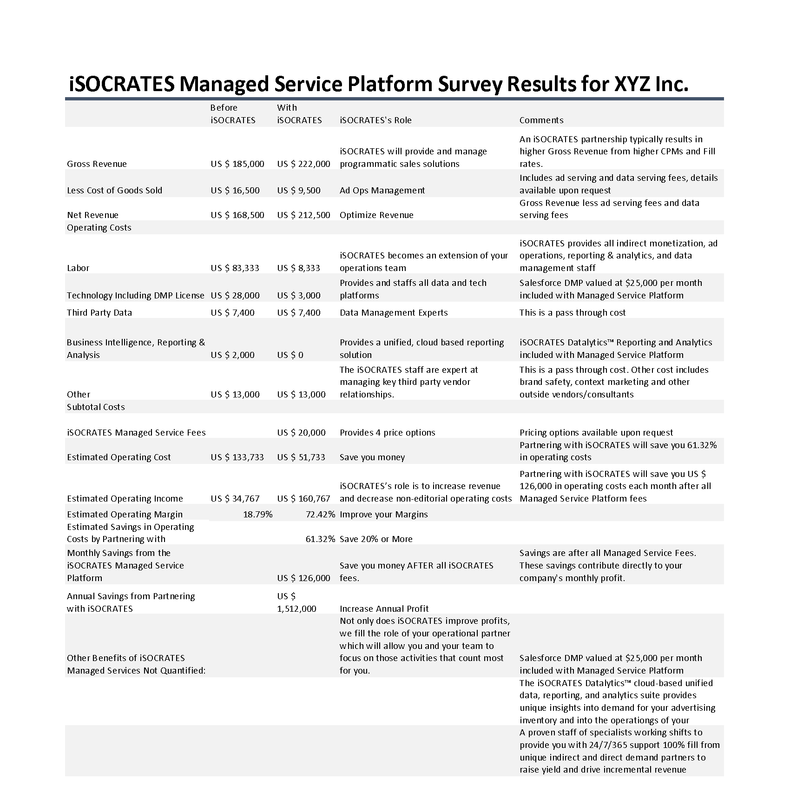 Upon completion of the survey, you will immediately receive a succinct, but detailed breakdown relating what you have shared with what iSocrates MSP can do for you. A sample of this breakdown is available for your reference via the link below. Clients that choose to partner save Money, increase Focus on what matters most, and make more Money with iSocrates, The Global Leader in Media and Marketing Resource Planning and ExecutionTM. 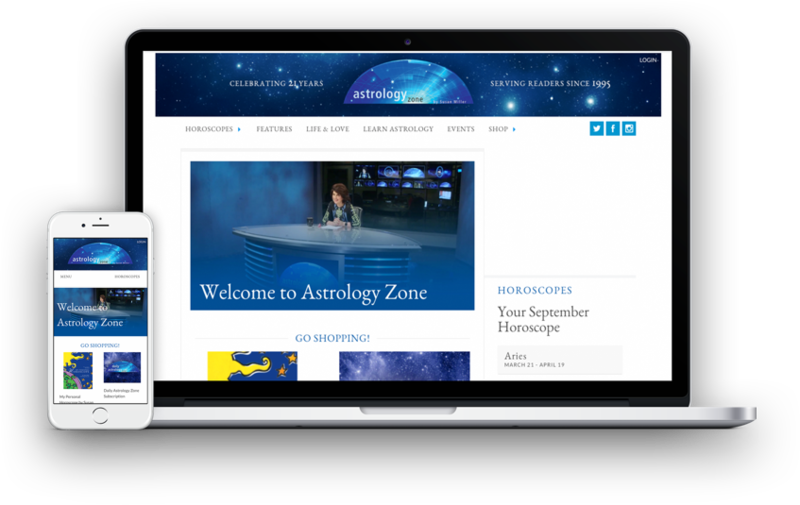 Leading Astrology website with 1.2M monthly unique visitors and an average of 40 million ad impressions per month, before becoming a customer of iSocrates’s Managed Service Platform. For over ten years, one experienced ad sales executive and a part time ad operations person sold 40% to 50% of available Display ad impressions each month at CPMs of $0.40 – $0.80. Revenue was flat for years. Revenue improved by 2x within four months. The business grew at a rate of 23% for the last twelve months.